Ledavin Beverage tubing is manufactured from materials compliant with FDA and AS2070 for food and beverage contact applications. This highly flexible tubing offers excellent resistance to cracking and impact along with a glass like clarity and smooth bore to provide ideal flow characteristics for a variety of food and beverage applications. 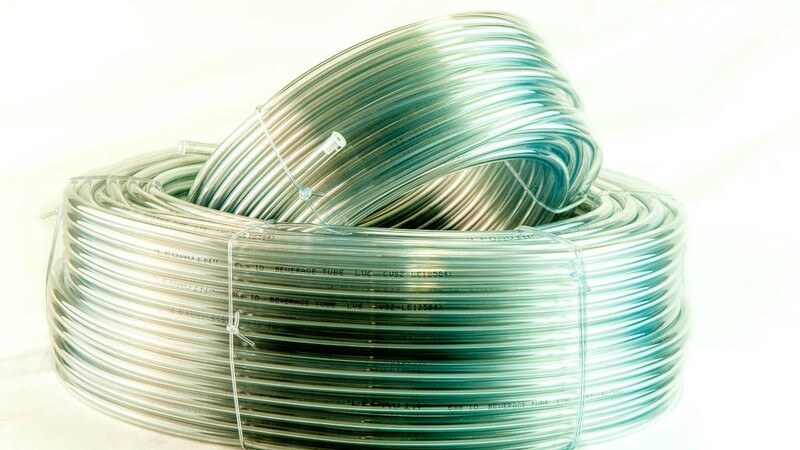 The tubing is used by all major brewers and beverage installers nationwide and is commonly found in Post-Mix and BIB installations. All Ledavin products are charged with an inert gas and the ends of the coils are plugged during manufacture to prevent any oxidation or contamination during storage.